Visit the Boone County website or call the office at 515-433-0502 for information about registration, absentee voting, polling locations, and more. 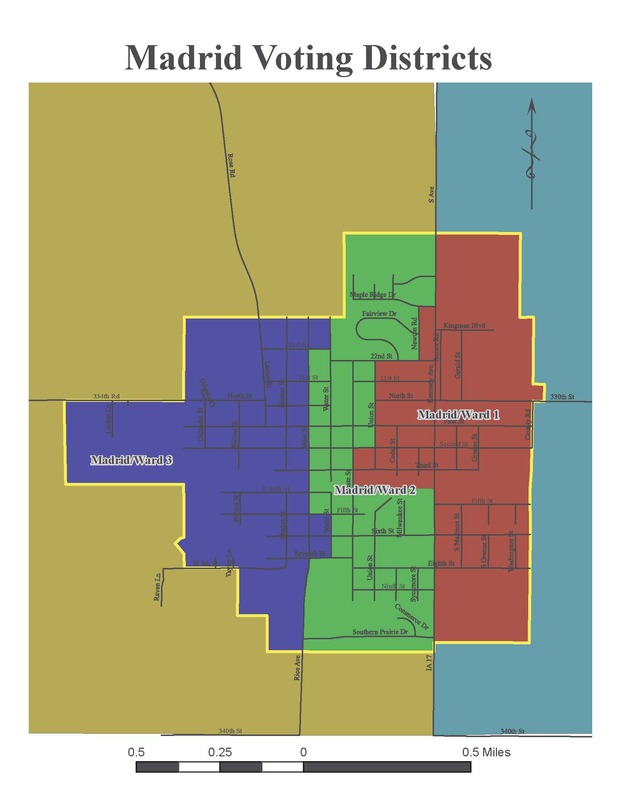 You can find your ward on the map below, and the polling locations are listed here. The City of Madrid has three wards, which are divided according to the 2010 Census.